Reaching your target audience is the Holy Grail of nearly every marketer. Ensuring your advertising campaigns are being seen by individuals that are the perfect prospects maximizes the effectiveness of your campaigns and ensures that your marketing budget is well-spent, increasing lead generation by a sizable margin and providing a strong return on investment. The question is, then, how to ensure that you are indeed reaching your target audience in an effective manner. There are a number of different strategies and tactics that you as a marketer can employ, but one of the most effective methods for reaching your target audience is through collecting data from surveys. Here’s what you might not know about how surveys can help you reach your target audience. One of the biggest advantages of conducting online surveys becomes clear even before you ask for feedback from your first respondent; online surveys are easier to create than ever. There are dozens of online tools that will let you create and format surveys of any complexity you desire or need, and a number of these resources are offered free of charge — something that will make your marketing budget go farther. There are dozens of dedicated sites offer free access to pre-created templates to speed up the creation process. Some even provide intuitive survey builders that are also free to use. Other survey resources like provide help in survey-building, with some even going so far as to provide a survey-building service for you at an affordable price. 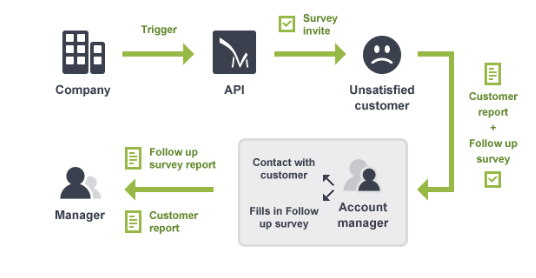 Customers can become annoyed when faced with long and boring surveys, and rather than answering the questions properly, their answers can be plagued with problems. Because of how easy it has become to create online surveys, time and energy (as well as marketing budget) can be conserved for more time and cost-intensive facets of your marketing campaign. This supports the already invaluable ability for surveys to laser-hone your focus to those individuals that are most likely to respond favorably to your marketing efforts in the future. Creating your survey is obviously a necessary step before anything else, but after you do so it’s time to find potential respondents to share their opinions with you. In the past, this has been a relatively difficult task for any marketing department or company that doesn’t have access to a large mailing list or some other method for reaching consumers, but modern online methods have emerged that turn a once-difficult endeavor into one that’s almost too easy. A Vision Critical Study found that 87% of survey-takers want to have a say in a company’s future products and services, meaning that in this technological era, the focus is shifting and consumers now want to be a part of the process. For marketers without large contact lists, many survey companies offer access to extensive personal lists for a fee. Sometimes marketers are only charged per response, which means that you’re not paying to access lists with unresponsive contacts on them. Other resources include research panel companies that incentivize their members to answer surveys from marketer partners. Research panels are perhaps the most reliable source of respondents. However, this approach can sometimes be hit-or-miss when it comes to accurate responses, as incentivized survey takers might not always be entirely honest with their responses since they are only chasing a reward from the panel. This is, however, the exception and not the rule, making such instances relatively rare. In fact, a 2015 research study from Indiana University found that responses from incentivized surveys were largely indistinguishable from survey responses that didn’t offer incentives to respondents. As a result, you can easily consider the quality of your response data to be high if you use incentivized surveys to identify and reach your target audience. The goal of any survey is to weed out respondents that are likely to be cold leads and focus on those that are warm or hot. This is, of course, done while analyzing your survey’s results based on how respondents answer your questions, but you can also maximize your results in the first place by crafting your survey to filter out respondents early in the process to avoid wasting their time and possibly your marketing dollars. Filtering is especially effective when seeking out particular pre-selected demographics for your survey, something that the American Association for People Opinion Research investigated heavily in 2017. The AAPOR’s research study of how subgroup sorting impacts statistical analysis revealed much indeed, showing just how powerful demographic sorting can be as a tool.. If you are seeking women between the ages of 25 and 34, for example, questions at the beginning of the survey can weed out anyone beyond that age range or who don’t identify as that gender. Filtering for nearly any demographic can be done in this way, and doing so ensures your results only contain responses from your chosen demographics. Additionally, if you filter for demographics earlier in the process, you can further preserve your own resources when it comes to the analysis stage. 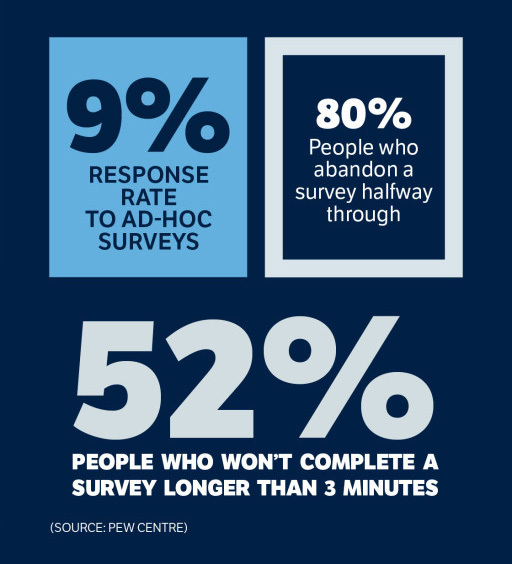 Minimizing irrelevant responses means you’re not paying a provider for survey analysis on responses that will not help further your campaign goals; even if you’re personally analyzing results, you’ll preserve time by not having to spend it on weeding out dead-end responses by hand. While creating surveys and sourcing respondents for those surveys can be done with little effort, the true worth of these surveys lies in the amount of data that they generate. This data is what will, ultimately, make the biggest difference to your marketing campaign when it comes to identifying and then reaching your target audience, so it’s imperative that you can access and analyze this data quickly and easily. Thankfully, data analysis is often built-in to many of the most popular survey tools on the market. While free resources might simply permit you to export your survey data to a spreadsheet so you can analyze it for trends and filter for target audience directly, many other offer analysis services for a range of fees. In other words, you can spend either personal effort or your marketing budget on mining those survey results for marketing gold. However, if the survey tool doesn’t offer this service, you can check out tools like Qlikview, Knime, and even Excel – see below. Whether you have your survey analysis done for you or if you do it yourself, the end results are clear: you have a large collection of data this is now going to help you direct your marketing efforts towards targeted individuals. This leads, in turn, to higher conversion rates than you would expect with a less targeted approach — and this heightened success is all due to your savvy use of online survey tools. Online surveys are some of the most effective tools in capturing high amounts of accurate consumer data. Analyzing this gathered data is an excellent method for finding your target audience, and thanks to tools and methodologies that can be built into your survey at creation, following up the respondents that make the cut as your target audience is a simple — or even seamless — process. Sending out surveys to your own contact list obviously provides you the ability to track responses and identify which of your contacts will be in your target audience and which won’t. If you partner with a survey provider that provides its own contact lists for you, it’s likewise easy to gain access to the contact details of the respondents that make up your target audience as this service is usually included in any service fees they may charge you. Even if you rely on a research panel for your respondents, these panels can often access their member activity in order to provide better tracking for their marketer partners. This makes what could easily be the hardest part of applying survey-sourced target audience data — following up — one of the easiest things you need to do. The importance of collecting and analyzing survey data goes beyond just marketing – they can also provide invaluable information and direction when it comes to product design. In fact, many product developers, both physical and digital, rely on this type of information gathering to inform their design process. In fact, product design for the beloved child’s building block brand LEGO benefited greatly from this type of market research, collecting crucial data that drove the brand to increase the demographic reach of their products. In fact, the survey-sourced information helps many companies “to create the perfect product for our users,” according to product design company INKOD. “We start, as a part of the product definition, with analyzing the user’s workflows to find opportunities to fit smoothly into his routine,” the Tel Aviv-based design studio added. This is often impossible without gathering data on user workflow first, making survey data a crucial component of product design. Using surveys can turn a small investment of time, money, and effort into a massive return on your investment. It’s clear just how using online surveys can supercharge your ability to market to your target audience more effectively. Surveys are easy to create, they are compatible with any number of sources when it comes to contact lists, and they can easily filter out and narrow your results to ensure the desired demographics are the ones answering your survey questions. It goes much further than that, though. The flexibility, affordability, and ease of use of online survey systems make these tools some of the strongest that marketers have. Surveys are also highly cost-effective to create and send out surveys either by relying on personal resources or affordably priced third-party resources such as online survey companies or research panels. Data points collected from these surveys are likewise easy or affordable to export and analyze in order to identify important trends and collect a sizable list of leads that have a higher likelihood to convert based on their very own responses. Using surveys help you to identify and reach your target audience, regardless of what kind of product or service you’re marketing. Following up with these what are effectively hot leads sourced from survey results is easier than ever. Whether it’s sourced from your own contact list or one furnished to you by a survey company or research panel, you can reach out to the list of filtered respondents to present marketing opportunities to them through the platform of your choice whether it be email, social media, or other forms of targeted advertising. Kelly Abraham is a marketing enthusiast and tech and travel blogger. 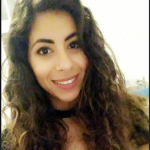 As a Brit who's moved to Israel, she loves writing, traveling, and discovering boutique cafes.